This is one of the darkest times in modern Philippine basketball. This is supposed to be the new era of the Philippine National Team. Their chance to take the next step in the international stage. However, the brawl against Australia left nothing but debris and devastation to our national basketball program. So here we are, left with three out of the 12 players—not all of whom can play—during the last window, a suspended head coach, and only bits and pieces to work with as the nation prepares for the next battle. The Philippines seemed to have its fate sealed when the sanctions were handed out. Dread it, run from it, but destiny shall arrive all the same. There’s no other recourse but to fight back, try to go against the grains of destiny. It is in this moment of darkness that we need the strongest heroes to stand up and fight the battles that we could not fight for ourselves. At this moment of struggle, it was Coach Yeng Guiao who first answered the call for the country. With no head coach to run the national team, Guiao stepped up and led a gallant stand for Team Pilipinas in the Asian Games. The team placed fifth in the quadrennial tournament, the best finish the country has ever had since 2002. But the real fight has yet to begin. The next three windows of the FIBA Asia Qualifiers will decide the fate of our country. Since the win-loss record from the first round will be carried over the second round, the Philippines (4-2) now sits on third place of Group E, ahead of Kazakhstan (3-3), Japan (2-4) and Qatar (2-4). What Team Pilipinas needs to do is to at least maintain its current ranking to be assured of a spot in the 2019 World Cup. But they could not just rest on their laurels if they want to advance in the competition. Australia (5-1) and Iran (5-1) are expected to go all out to tighten their grip on the top spots. Kazakhstan and Qatar might be dangerous if taken lightly. More importantly, Japan will look to make a run behind Japanese phenom Rui Hachimura, naturalized player Nick Fazekas and NBA G-League player Yuta Watanabe. The next six games will be a tough road ahead for the national team. With little time to recuperate, they need to win as much games as possible to avoid dropping out of the top three of Group E. And as fate would have it, the destiny of the country’s basketball program will lie on Guiao and his band of heroes that he will assemble. It’s a huge puzzle how Guiao will select his final 12 for the fourth window. Since it’s him we’re talking about, he’ll sure avoid all the theatrics in the announcement as if he was dropping the new Avengers trailer. But that doesn’t mean he won’t make his team the Philippine basketball version of the Avengers. He’ll need to build one if he wants to save the entire national team program from another huge fallout. However, there are some problems to be dealt with. Christian Standhardinger and Stanley Pringle are both considered as naturalized players. That means they can’t be in the lineup at the same time. Additionally, Andray Blatche and June Mar Fajardo, which is arguably the best front court duo that the team has, won’t be available to play for the fourth window. Blatche is serving his three-game suspension, while Fajardo is nursing an injury which would keep him out of the fourth window. The Philippines had to deal with this loss at a very bad time, as Qatar and Iran boast a talented frontcourt. The Qataris have Mohd Yousuf Mohmmed, a 6-foot-9 center who averaged 11.3 points and 4.7 rebounds in the first round, and 6-foot-10 center Nasser Khalifa Al-Rayes. On the other hand, the Iranians have former Oregon Duck Arsalan Kazemi to man the paint. Perhaps, no one on that list could create more fear than Hamed Haddadi. The 7-foot-2 Iranian will anchor Iran from the paint against the Philippines in the first game. His resume speaks for himself: NBA veteran, CBA champion, four-time FIBA Asia Championship MVP. He will be a big block on the team’s aspirations to reach the World Cup, both literally and figuratively. As such, the team needs every warm body it could throw on the paint to neutralize Haddadi. If that means half of the twelve slots will be used to bolster the four and five positions, then so be it. Christian Standhardinger will likely play in the first game due to the need to strengthen the frontcourt. 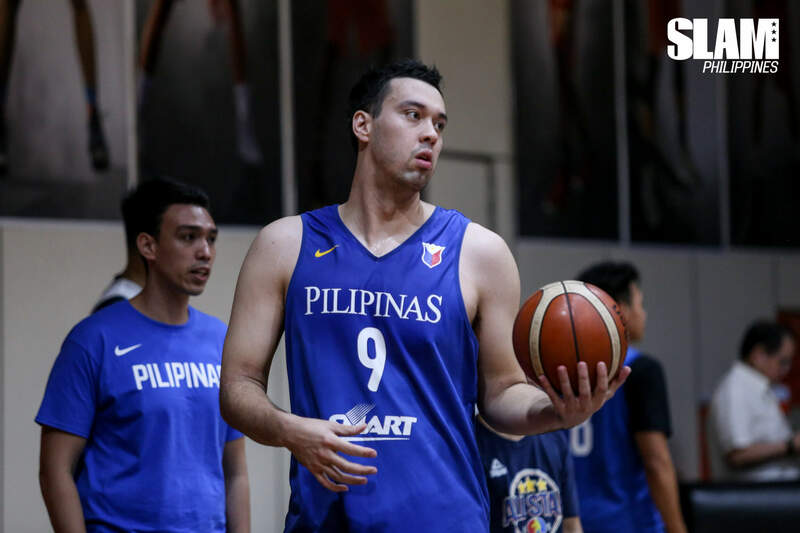 He will most likely be joined by locals Greg Slaughter, Ian Sangalang, Poy Erram, Raymond Almazan and Asi Taulava are all at Guiao’s disposal for the game against Iran. Having this many big men in the lineup would give Team Pilipinas more than just one-in-14-million chance to take down the Mad Titan from Iran. Guiao can send different defenders and offensive attackers for Haddadi to deal with. Slaughter (if healthy) has the size. Taulava has the experience. Erram and Almazan have the mobility and range. Sangalang and Standhardinger have a wide range of offensive skillset. Hopefully, that would be enough to throw off Haddadi’s game, as well as cover for the likes of Kazemi, Mohmmed and Al-Rayes. The wing position would also be a vital battleground for the team this window. Just like in the first round, Cliff Johnson, Suliman Abdi Khalid, Behnam Yakhchali and Nikkhah Bahrami are expected to lead the charge on offense for Qatar and Iran in the second round. 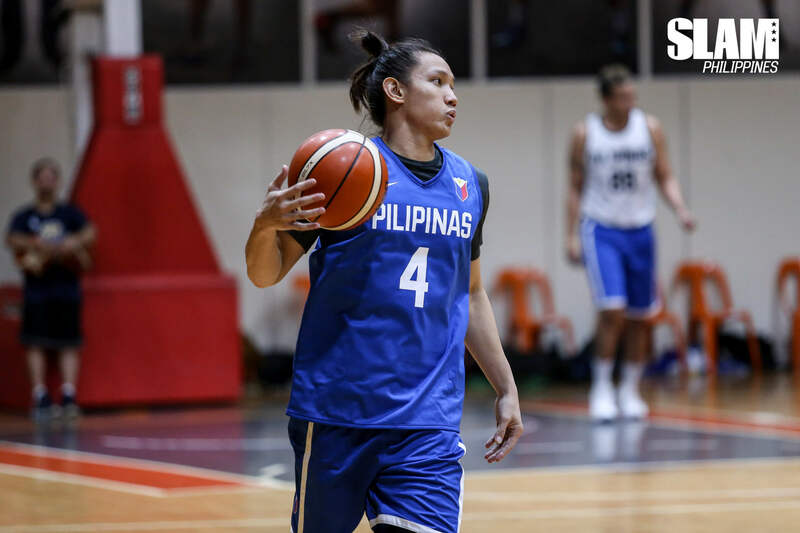 Aside from that, Team Pilipinas will miss the services of Matthew Wright for at least one game, thus leaving the team without one of its top three-point gunners. If Guiao considers putting half of his roster spots on bigs, the team would still have room for around three wing players. Gabe Norwood, Marcio Lassiter and Allein Maliksi can fit into that scenario, with each of them offering different skillsets. Norwood will be likely assigned on defending the opponents’ best wings, Lassiter will be the designated shooter while Maliksi will be more of a slasher for the lineup. The biggest dilemma for Team Pilipinas will be filling the point guard position. The loss of Jayson Castro creates a huge hole to fill for Guiao and his crew. Once considered as the best point guard in Asia, Castro was the primary initiator of the dribble-drive offense for the previous iteration of the national team. He led the team in points (14.2), and was second in assists (3.4) and efficiency (13.8) for the national team. With Guiao on the helm, it might be a great opportunity for the team to start over and abandon the dribble-drive offense. It also makes Paul Lee a definite shoo-in for the national team. 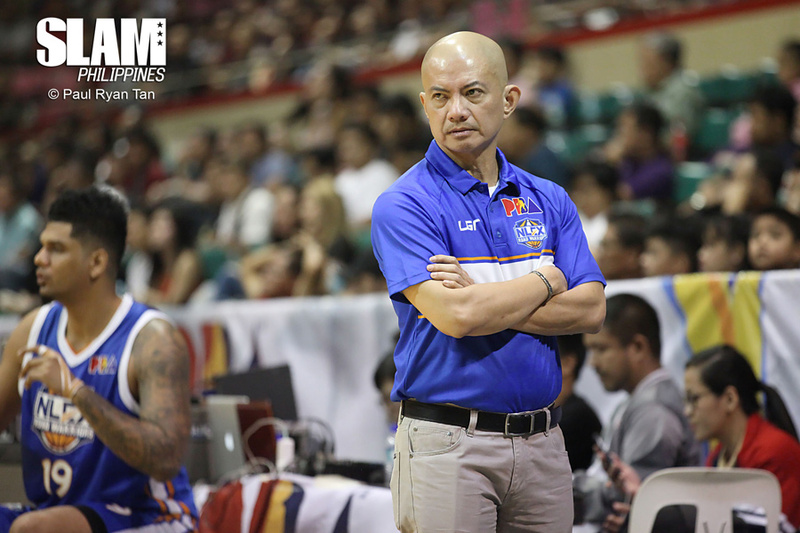 Guiao was the architect of Lee’s rise to the PBA ranks, and their Stark-Parker level of familiarity with each other will be needed for Team Pilipinas to succeed in the foreseeable future. He is also an excellent centerpiece on offense. He can shoot the ball from virtually anywhere within the half court and create plays for himself and his teammates. That leaves two more spots, which Alex Cabagnot and Scottie Thompson can fill in. 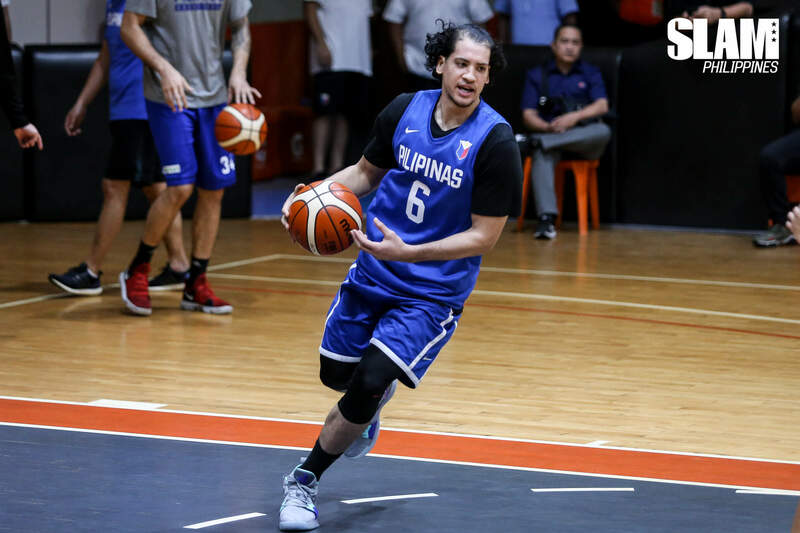 Without Pringle in the game against Iran, Cabagnot may serve as the backup point guard for Lee. He can provide leadership, steady playmaking and outside scoring that he has shown throughout the years with San Miguel. As for Scottie Thompson, he’s more of a wildcard player, the magic bunot, the Thor who appeared out of nowhere and wreaked havoc to the enemies with the Stormbreaker. He is known to provide spark for the team at times when all else are failing for them with his timely rebounds and scrappy play. If he will be called up to play for the team, then doing such is what will be required from him. Unlike Iran, Qatar relies on its guards to carry the cudgels for the team. Johnson and point guard Mansour Elhadary are expected to lead Qatar on offense during the second window. Upgrading the backcourt is a must against the Qataris. As such, expect Stanley Pringle to suit up and replace Standahardinger in the second game. This is expected to happen since Guiao has already expressed his desire to have Standhardinger and Pringle play one game each for the fourth window. This is now or never for Team Pilipinas. Come out undefeated in this window, and they will have a firm hold of one of the seven slots reserved for Asia in the 2019 FIBA World Cup. Come out winless, and the Philippines will be in danger of being eliminated in the tournament. Needless to say, Guiao and the rest of Team Pilipinas will do whatever it takes to prevent that World Cup dream from turning into dust. Make us feel good about Philippine basketball again, Mr. Guiao.